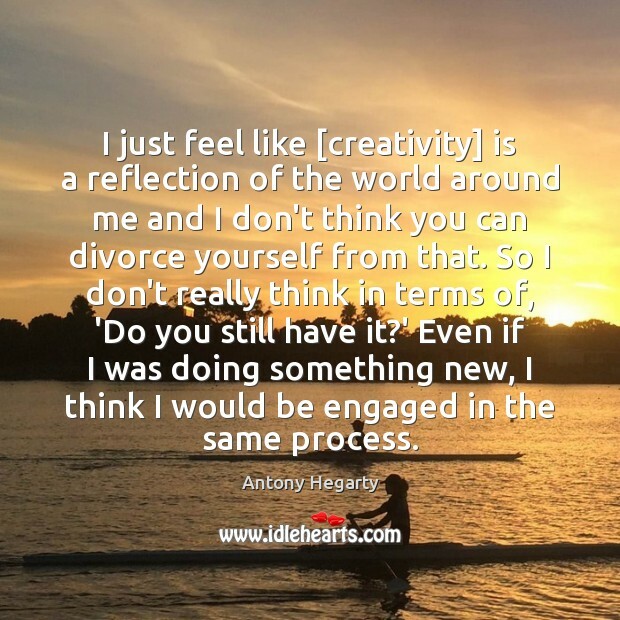 Enjoy the best inspirational, motivational, positive, funny and famous quotes by Antony Hegarty. Use words and picture quotations to push forward and inspire you keep going in life! History has been male and the future is female. Leaning on women as a body and the female archetype, and not just women but men - we're asking men to dig deep and deconstruct their seat of privilege. Because this is an emergency. We're in threat of losing our homes, the future of our future generations, and the biological paradise that we're apart of. 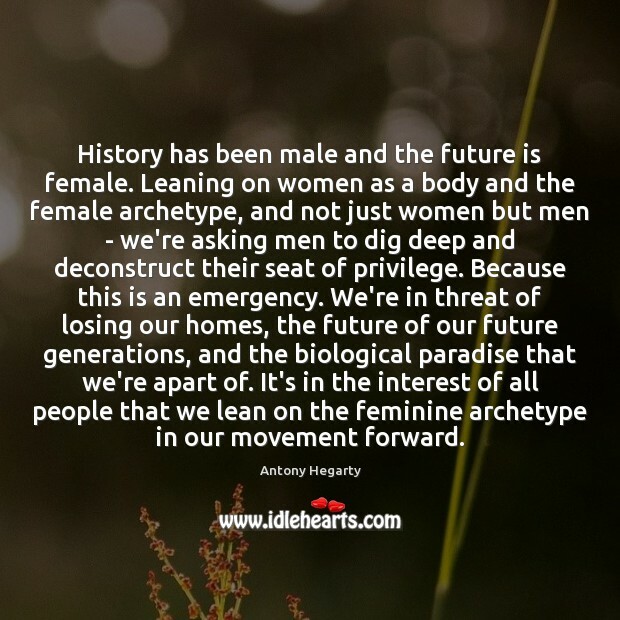 It's in the interest of all people that we lean on the feminine archetype in our movement forward. You need to release yourself of any expectation of what that material should be. 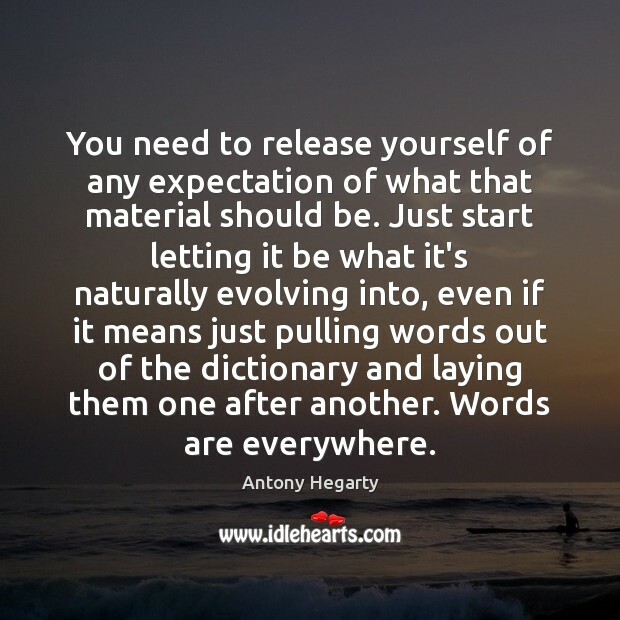 Just start letting it be what it's naturally evolving into, even if it means just pulling words out of the dictionary and laying them one after another. Words are everywhere. 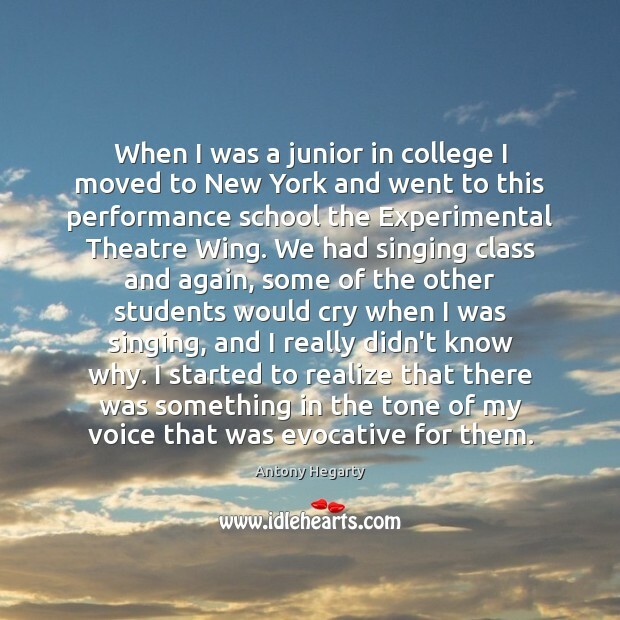 When I was a junior in college I moved to New York and went to this performance school the Experimental Theatre Wing. We had singing class and again, some of the other students would cry when I was singing, and I really didn't know why. I started to realize that there was something in the tone of my voice that was evocative for them. I went to New York to be where the beautiful people were and it didn't disappoint me. It's so open. It's a great platform to do your own thing or start new things. When I got there, I started living for the first time. I was about 17 or 18 when I first started performing in public. I had a teacher when I was a freshman in college and she came up to me afterwards and said she had been crying while I had been singing, and it really shocked me. I think what holds people up in creative processes is the expectation of what it is they're doing. 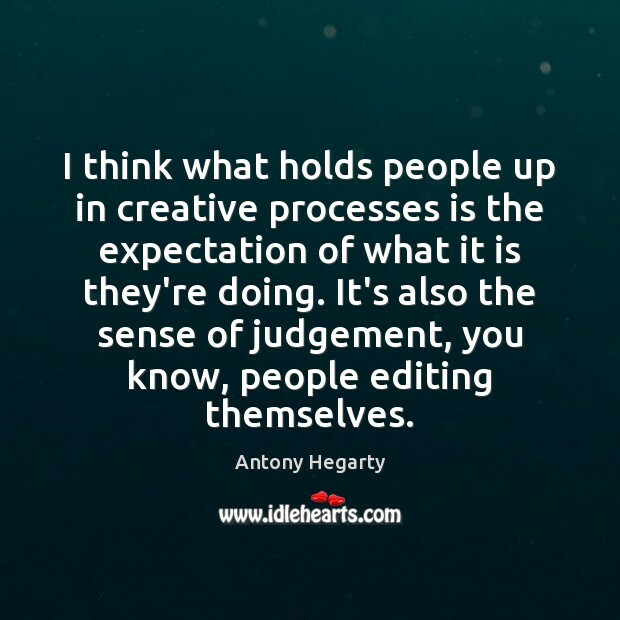 It's also the sense of judgement, you know, people editing themselves. 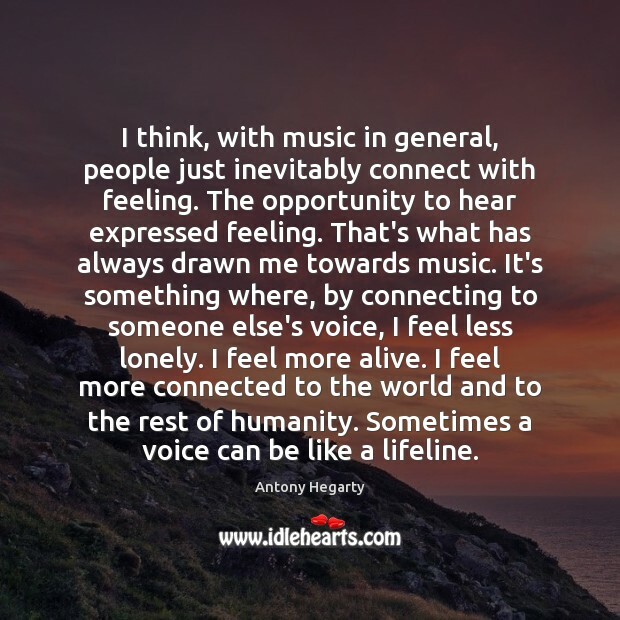 I think, with music in general, people just inevitably connect with feeling. The opportunity to hear expressed feeling. That's what has always drawn me towards music. It's something where, by connecting to someone else's voice, I feel less lonely. I feel more alive. I feel more connected to the world and to the rest of humanity. Sometimes a voice can be like a lifeline. No matter how public your work is, it's just a relationship with yourself. 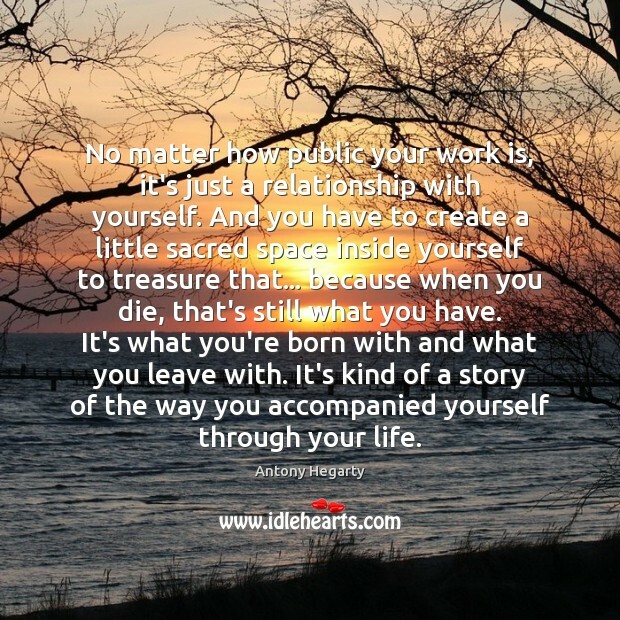 And you have to create a little sacred space inside yourself to treasure that... because when you die, that's still what you have. It's what you're born with and what you leave with. It's kind of a story of the way you accompanied yourself through your life. I just feel like [creativity] is a reflection of the world around me and I don't think you can divorce yourself from that. So I don't really think in terms of, 'Do you still have it?' Even if I was doing something new, I think I would be engaged in the same process. I think what everyone can do is start creating spaces and forums, talk to peers, friends and family, and start deconstructing these things we take for granted, unpack these old systems, in order to understand ourselves more deeply, to understand why we do the things we do and how our privileges affect other people's lack of privilege. I think what really separates artists from the rest of the world is that artists feel like they have permission to keep exploring and expressing their process. Most people censor that because they don't think it's good enough. Everything is measured against this patriarchal hierarchy of value, as if one person's singing voice is more important than another's. I see everything as creative material. 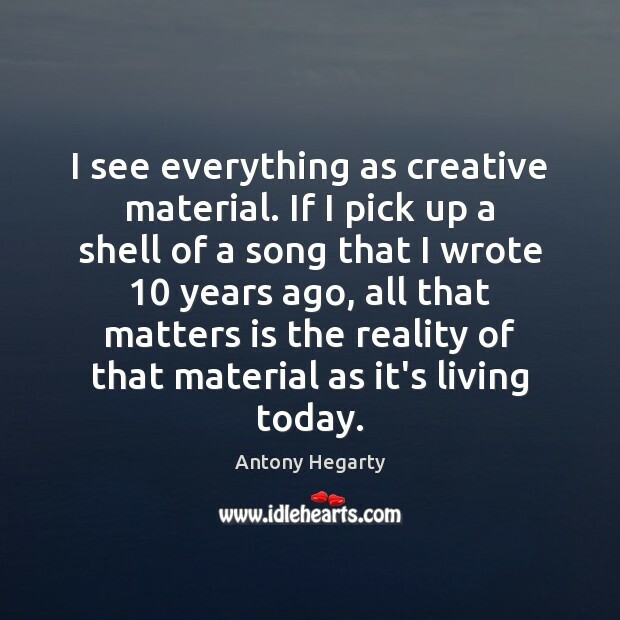 If I pick up a shell of a song that I wrote 10 years ago, all that matters is the reality of that material as it's living today. There are so many more productive things to do than sit around feeling shame and guilt. Beyond touching on shame and guilt in a perfunctory manner, I wouldn't bother with that at all. 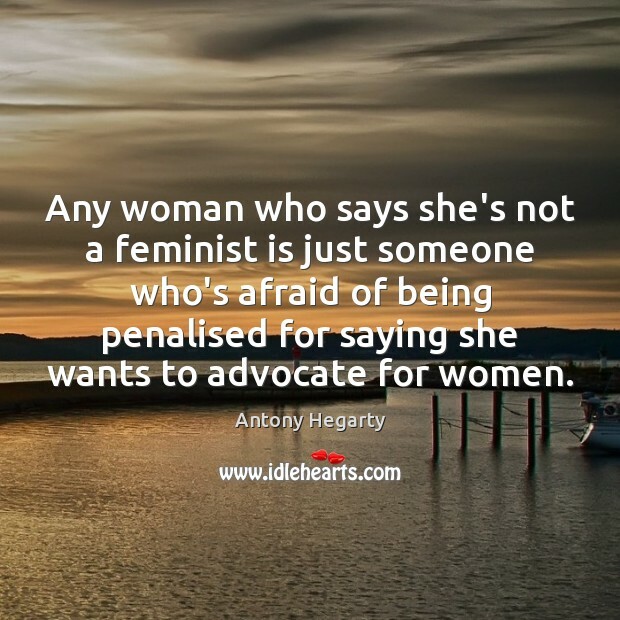 Any woman who says she's not a feminist is just someone who's afraid of being penalised for saying she wants to advocate for women. 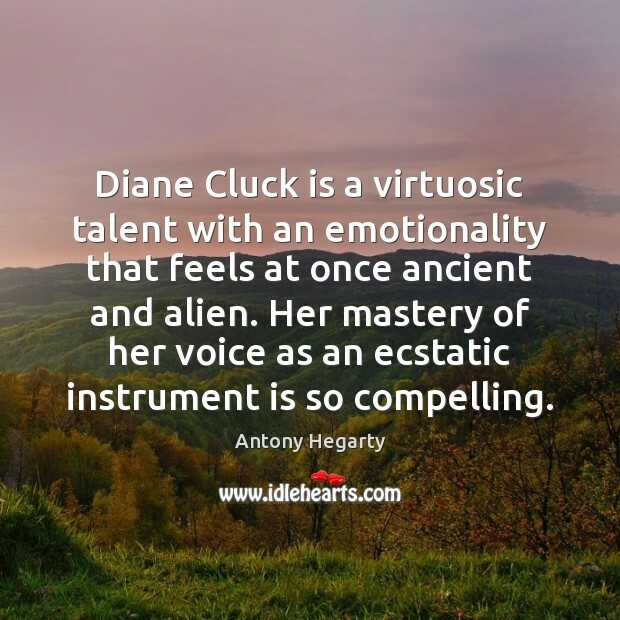 Diane Cluck is a virtuosic talent with an emotionality that feels at once ancient and alien. Her mastery of her voice as an ecstatic instrument is so compelling. Every interview is as much an impression of the journalist as it is the artist or subject. 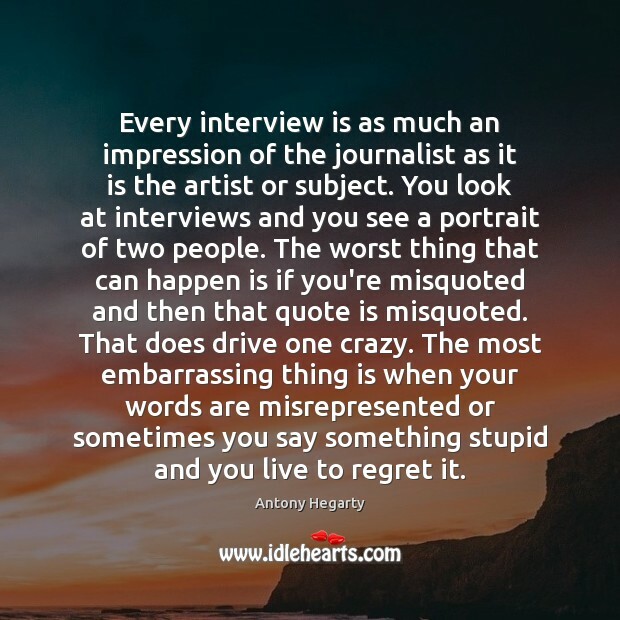 You look at interviews and you see a portrait of two people. The worst thing that can happen is if you're misquoted and then that quote is misquoted. That does drive one crazy. The most embarrassing thing is when your words are misrepresented or sometimes you say something stupid and you live to regret it. I am transgender, so 'he' is not appropriate and 'she' is problematic. I haven't been one to wage war with society to force people to address me a certain way. I let people make that decision for themselves. I don't identify as a man, so 'he' is silly in a way. 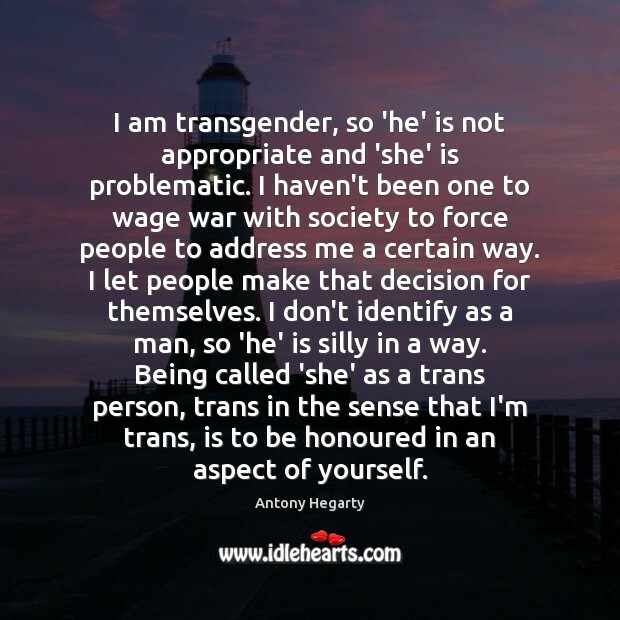 Being called 'she' as a trans person, trans in the sense that I'm trans, is to be honoured in an aspect of yourself.